Klaus Dinger's hypnotic, robotic drumming with Neu! - as well as his turn on 'Von Himmel Hoch' from Kraftwerk's self-titled debut album - originally gave birth to what is commonly called the motorik sound : an incessant, precise 4/4 pattern, propelling the track forward with repetition. If this sounds monotonous and machine-like, it wasn't - drummers like Can's Jaki Leibezeit even made the motorik beat swing a little, adding in infinite subtle variations of their own that no machine could ever hope to emulate. Motorik has become a bit of a loaded term these days and a little over-used and abused by journalists, having become a bit of a shorthand for 'the beat doesn't change all that much'. Exhibit A: Kasabian's 'Where Did All the Love Go?'. But its original premise lives on, in the cold precision of Detroit techno, or in minimalist rock like Tortoise's 'Millions Now Living Will Never Die'', as well as influencing modern art-rock and the New Wave in general, perhaps even helping it swerve the more frightening clichés of prog. Klub Motorik celebrates all of it, once a month at The Drop in Stoke Newington – from the early Kosmische through to anything new that we feel embodies its spirit. We’ve put together a minimix of some of our favourite motorik tracks below. Enjoy. 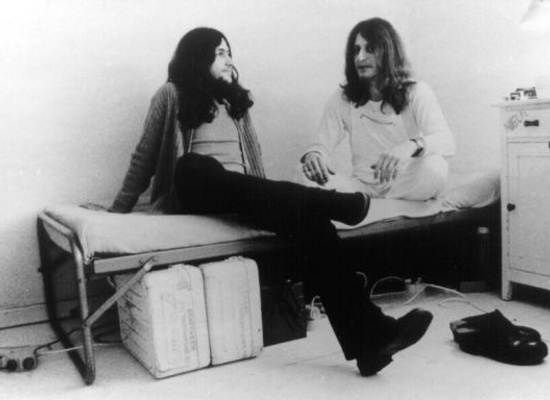 There are many terms that always crop up during discussion of the bewildering variety of leftfield rock and electronic music that came out of Germany in the late 60s and 70s. The most commonly occurring nomenclature is the only partially useful and slightly disagreeable umbrella name of Krautrock. Probably the second most popular term is the much more useful motorik. The word, which literally means 'motor skill' in German, was originally coined by journalists to describe the minimal yet propulsive four four beat that underpins just a small amount of the music from this time and place. However, if this non-existent genre has anything approaching a definable quality, then this beat is it. It was a hallmark of Klaus Dinger's drumming for Neu!, although he rejected the term, preferring to call the rhythm the 'Apache beat'. This metronome was first used in this context by Kraftwerk on tracks such as 'Ruckzuck', and Can on the blistering 'Mother Sky'. This beat was the war drum of modernity, pushing the listener forwards into the future. It is often associated with the great transport networks of Germany, the railway lines and the autobahns. In fact the rhythm even mimics that of a car speeding along the open road or a train clattering along the rails: fast, measured, travel never ending. It was the rock beat stripped back to a glittering chassis. It was the minimalist framework on which improvisation could take place. Of course, say this to Neu! 's guitarist Michael Rother and he laughs before stating that the rhythm was inspired by something altogether less mechanistic and more fluid: a game of football. But when I talked to Rother he insisted that football was the main inspiration: "I'm not sure that we thought it had anything to do with transport. I remember that Klaus and I never really talked a lot about theories we just both really enjoyed playing soccer. You know football, running up and down and everything. We even had a very good team with me and Klaus and Florian [Schneider, Kraftwerk] – he could run very fast. I remember on one tour there were some British bands there at a festival and we met them on the field. I remember we played against Family [UK hippy blues rock band] at one festival. We all loved to run fast and this feeling about running fast and fast movement, forward movement, rushing forwards that was something that we all had in common and the joy of fast movement is what or part of what we were trying to express in Neu!". Quietus editor John Doran. To read the rest of this article, click here. Klub Motorik is London's premiere night of Krautrock, cosmic and motorik sounds. Plus Krautrock-influenced bands Eat Lights; Become Lights launching their new album 'Autopia', and Manchester's Plank! launching their new single. Saturday February 26 from 10pm until 4am at The Drop, Church Street, Stoke Newington, N16 0LM (020 7241 5511). Tickets £3 before 11pm, and £4 after.